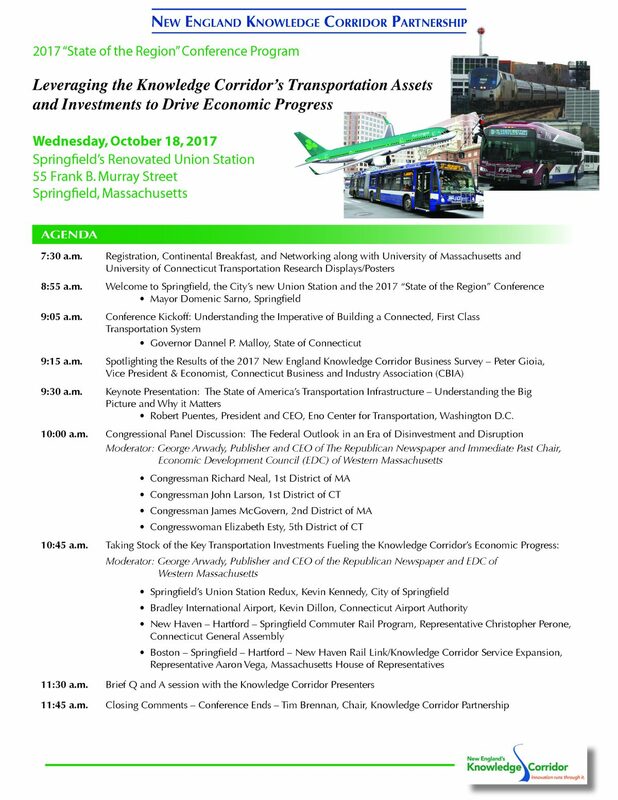 An updated program (shown below) for this week’s “State of the Region” Transportation Conference has been released. The most notable update is that Connecticut Governor Dannel P. Malloy will be be attending the conference and making a few brief opening remarks. 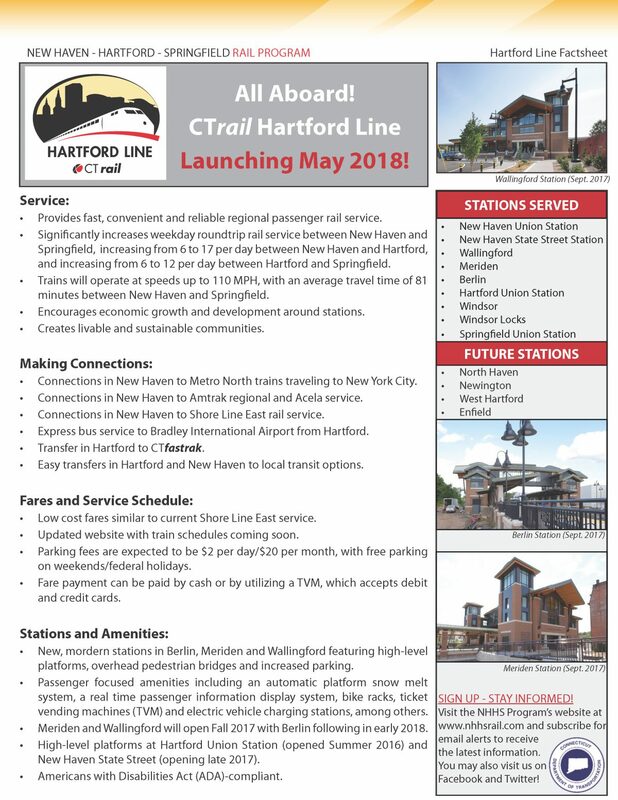 Hartford Line fares will be similar to the current fares on CTrail’s Shore Line East service, which operates between New Haven and New London. Parking at CTrail stations is expected to be $2/day and $20/month, with free parking on weekends and holidays. 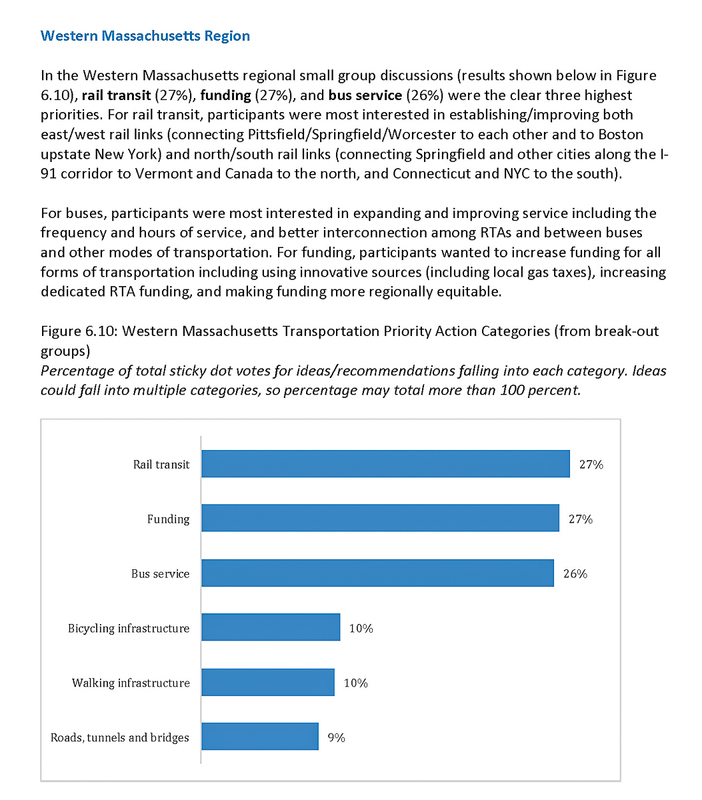 Recently released MassMoves report shows strong support for improved and expanded passenger rail service across the Commonwealth. 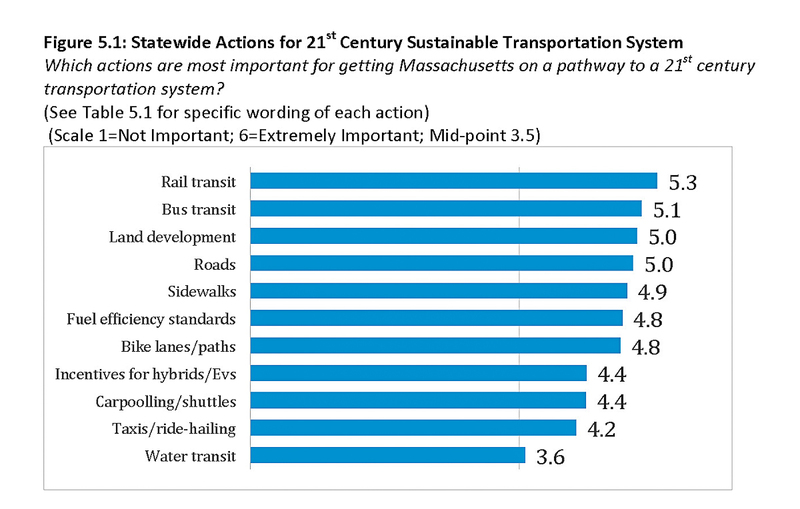 Nine regional MassMoves workshops were held as part of the State Senate’s Commonwealth Conversations listening tour between January and April 2017. The Western Region meeting, which was held in Springfield on March 28th, attracted an overflow crowd of 104 participants and 14 state senators. Sixt Rent a Car has opened a rental location at Springfield Union Station. The Sixt office is now open from 8 am – 5 pm Monday thru Friday. Rental cars can be picked up or dropped of on the ground floor of the Union Station Parking Garage. 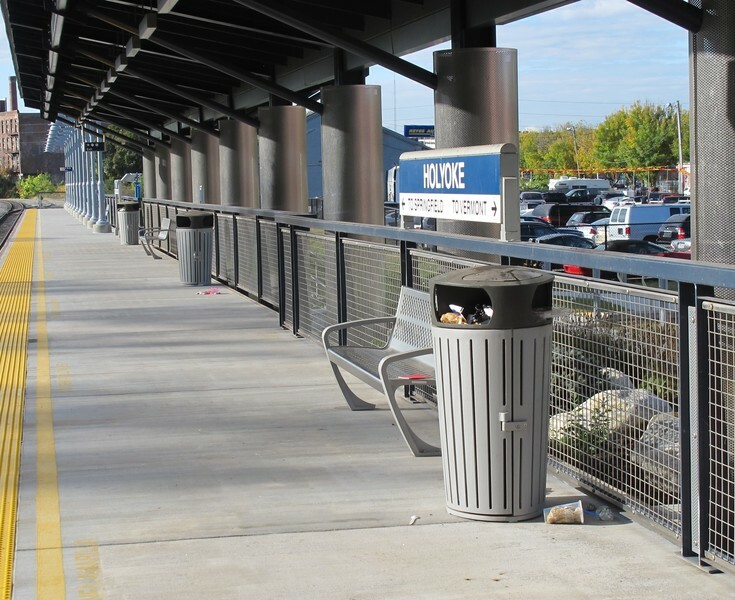 We received a report of full trash cans on the station platform in Holyoke — so we reported the issue using the City of Holyoke’s page on SeeClickFix.com. The problem was resolved the same day. A minor point, yes — but details like this matter. Overflowing trash cans are unsightly and they have the potential of attracting rodents. The Vermont Rail Action Network’s (VRAN) annual dinner and award celebration will be held on Wednesday evening November 8th in Rutland. This is an important rail advocacy event in Vermont and we will be attending the dinner to show our support for VRAN’s ongoing efforts to improve passenger rail service in Vermont — in particular the Vermonter. Please contact us if you are interested in car pooling to this event from either the Whatley or Greenfield Park and Ride lots.